All kinds of businesses, industries, and professionals need to advertise their products or services in order to make a mark upon people. 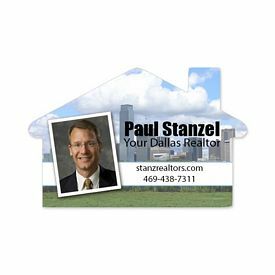 Real estate is a field with much competition, so it’s necessary to heavily advertise your company if you want to stay ahead of your competitors. 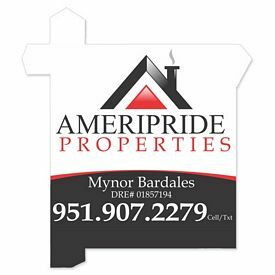 Thankfully, The Executive Advertising offers many customized real estate products that can help you outdo and beat your completion. 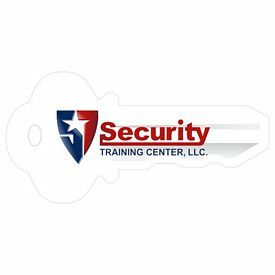 Promotional real estate products are sure to have a positive impact on people as they will love getting these free, useful gifts. 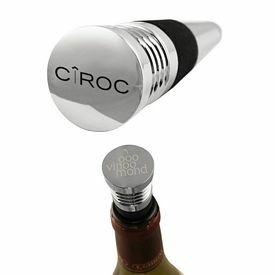 So, the next time you need to create an advertising campaign for your real estate company, check out or many different promo real estate products and do so confidently. 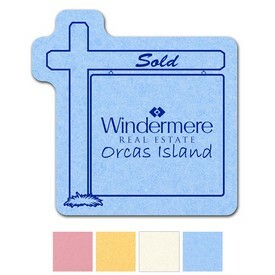 Our endless options make it easy to find affordable and attractive imprinted real estate gifts for your customers. The housing industry is growing day by day and more people are thinking about purchasing or investing in property. 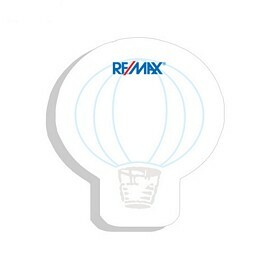 With increased demands, it is necessary to advertise with promotional real estate products. 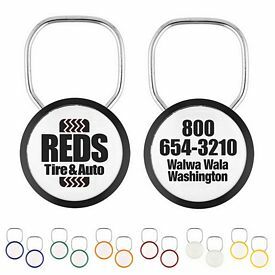 Advertising for homes can become fun and vibrant if you get items like our customized stress relievers or spinning house key chains. 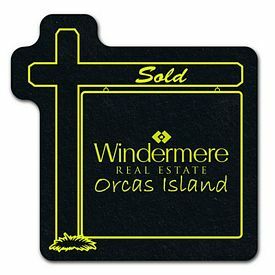 Real estate marketing becomes affordable and simple if you use such effective and amusing logo real estate items. Promotional marketing for the housing industry has a large scope for innovation and creativity so make sure that you make the most of your promotional investment. 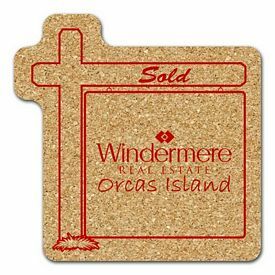 Customized real estate gifts are essential tools that can help you grow your business and increase your sales. 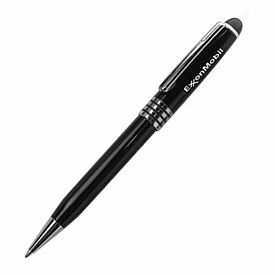 The Executive Advertising provides promo real estate products that are sure to help you spread your company name. There are hundreds or ideas and gifts for all purposes. 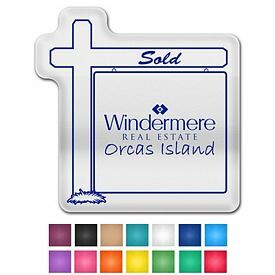 Mortgage offices, realtor offices, and other housing industries can greatly benefit from our promotional real estate products. 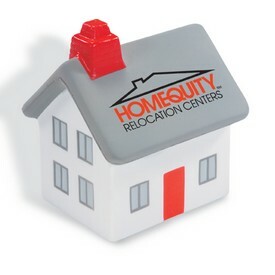 There are promotional house coin banks that look like houses and are used to store or save money. 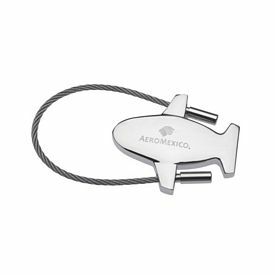 Most people will find a use for this fun promotional product, which means that your promotional investment will not go to waste. 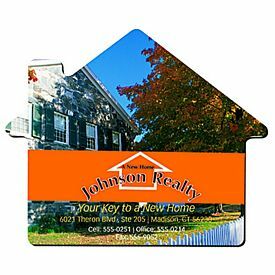 The customized house shaped bookmarks are also very good for real estate promotions as they offer a lot of space for imprinting. Put in a slogan or quote to make it more catchy and appealing. 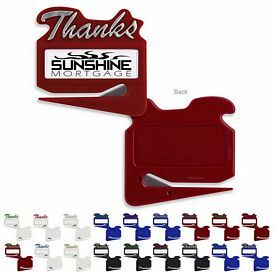 Try our custom house mega magnet clip for fun and colorful marketing. 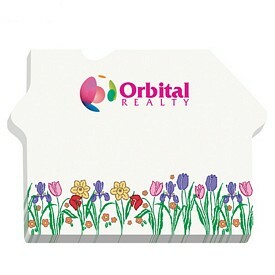 We even offer promotional house shaped letter openers and house shaped stress balls. 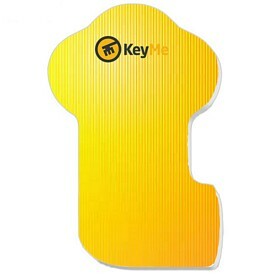 There are customized house themed paperweights and mouse pads as well that will make a great impression on your customers. Browse through our online catalogs to know more about all of our customized real estate products. There are no setup fees on them and you can also look for 24 hour free rush production offers. 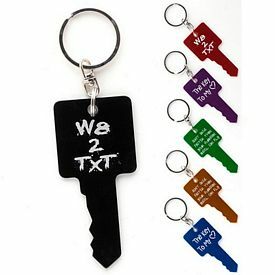 Even if you want to start out small, you don’t have to think twice before ordering our cheap wholesale realtor items. 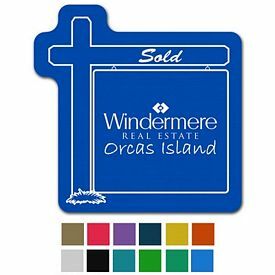 These unique custom real estate products can really help grow your business. 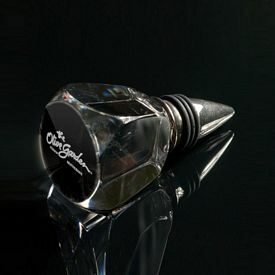 Come to The Executive Advertising for the best prices on logo real estate products.